Some of our favorite customized coffee cups. 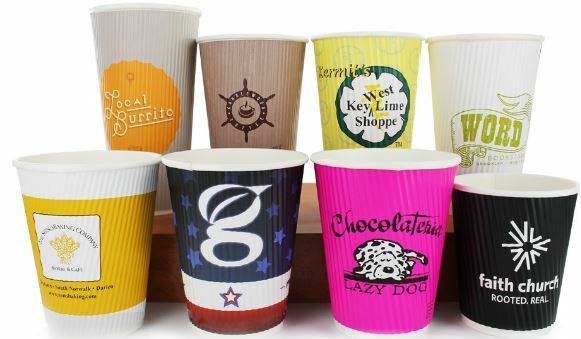 Custom paper coffee cups are one way to create a mobile billboard for your café or bakery. Sure, you can use a plain cup with a plain sleeve. Or you can put those paper coffee cups to work in promoting your brand’s visibility. We work with many businesses who chose to customize their hot drink cups and saw great results. These are just a few of our favorites. “Low Minimum” Quantity Print for most paper coffee cup options are much lower than ever before. 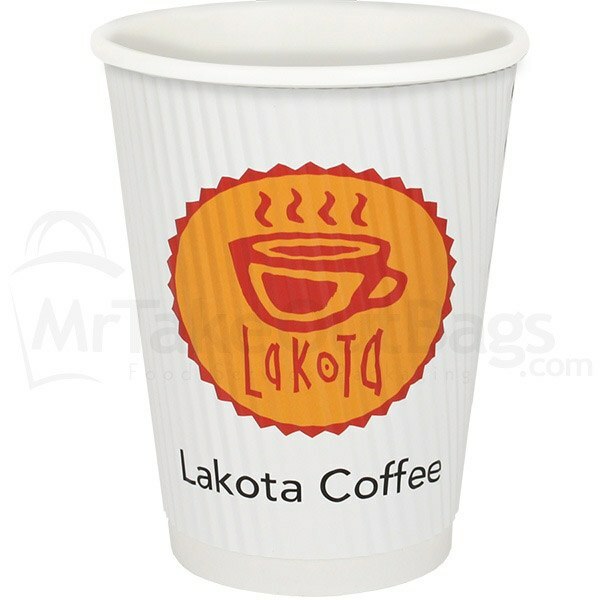 Lakota uses a simple design to make a memorable custom paper cup. The two color logo is especially eye-catching when printed on the ripple-wrap style paper cup. The ripples act as a double wall, creating a sleeve to keep coffee hot and hands cool. Double wall paper coffee cups don’t always have to have ridges. For those who prefer a smoother style: we’ve got you covered. 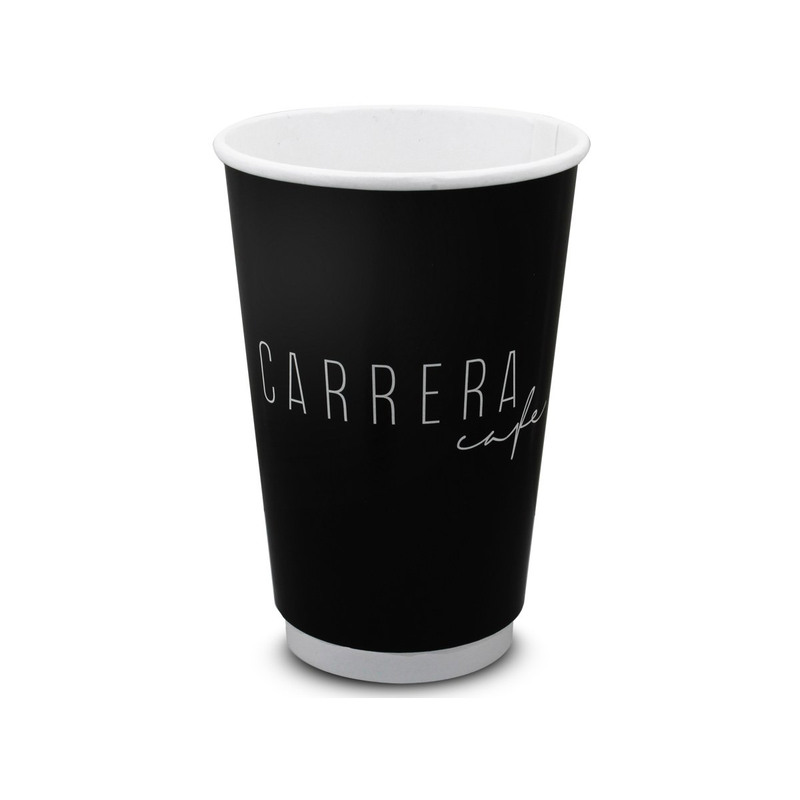 Carrera Café opted for a sleek finish while still utilizing the double wall effect that acts as a sleeve. Plus, this style allows for smaller runs and lower quantities than the ripple-wrap. 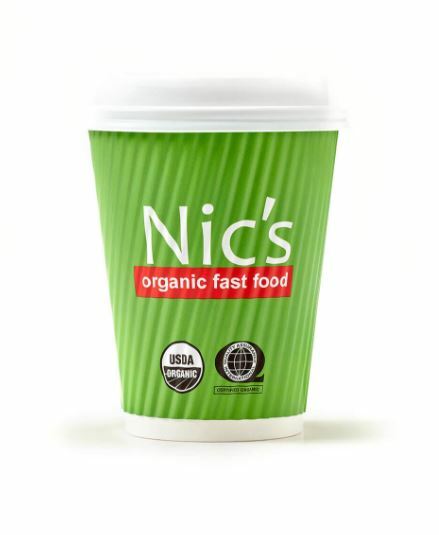 Like the rest of the Nic’s Organic Fast Food custom take out packaging, these stand out coffee cups are a fresh, eye-catching green. The bright hue helps this disposable paper cup stand apart from its competition and puts them in a league all their own. 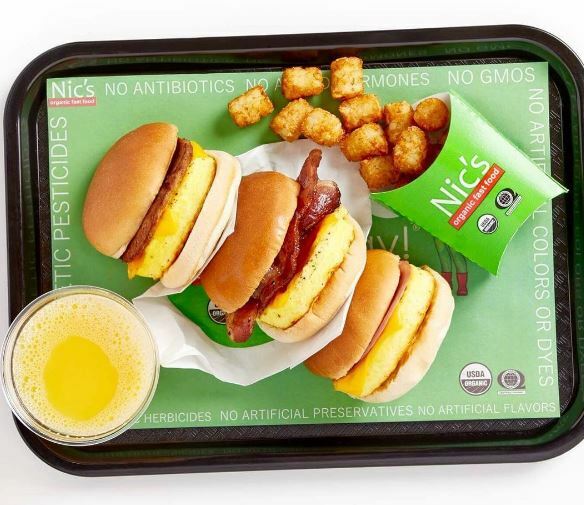 *Nic’s Organic gets bonus points for matching their hot cups with their cold cups (and with their dry waxed sandwich wrapper food tissue, and their paper fry cartons, and their paper placemats, and their paper soup cups). That’s always a powerful image. If personalized logo paper coffee cups aren’t the best fit for you – whether due to budget, minimums, or storage space – there are other ways to get your logo out there. Consider custom printed insulating sleeves for your coffee cups. You can use the stock cup that you prefer and manage that inventory as needed. Then just add on the printed logo cup sleeves and each customer that leaves your shop with a cup of joe will still be carrying around a walking billboard of your business branding image. 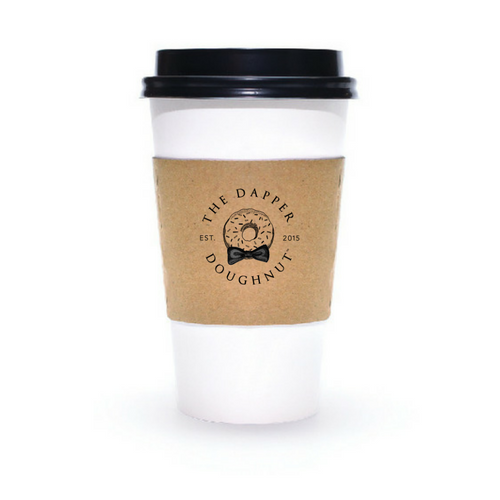 Just check out what our friends at Dapper Doughnut did with a custom printed paper coffee cup sleeve. And if customizing is not an option yet for you, just make sure you use something distinct, like the owners of Allegheny Coffee did with their black ripple-wrap cups. Remember, the food packaging you choose for your business can have a positive influence on your customers’ experience. And there are options available for companies of all sizes. Our Packaging Advisors are happy to chat with you about options that are best-suited for your needs. Please feel free to contact them at 888-321-2248.